Getting married and becoming a parent are joyous times in your life. If you need to file for divorce because your marriage is no longer working, you can still be the best parent you can to your children. 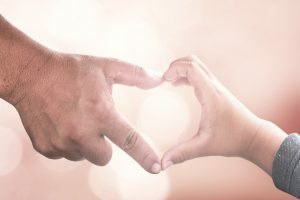 Going through a divorce when you have children can make the process a little more stressful for you, so you should turn to a trusted Tampa divorce attorney to handle your best interests. Depending on the ages of your children, they might not fully understand what is happening to their family. You should always talk to your children about what is happening because not talking about it can make it difficult for your child to process and cope. We understand that you are probably getting a divorce because you and your spouse do not get along or communicate well. However, when you have children together, you have to put aside your differences and hurt feelings to talk about what is best for your children. You do not have to talk about anything other than what is going on in your child’s life like doctor’s appointments, education costs, and their other extracurricular activities. Call our law firm at (813) 280-2911 to schedule a consultation with a Tampa divorce attorney today.